Update, May 21: Team Liquid have won the Rainbow Six Siege Season 7 Pro League Finals. They are the first Brazilian or Latin American team, and the first major esports organisation, to win the championship. Eight teams travelled to Atlantic City in New Jersey, US, over the weekend. The final match came down to Team Liquid and Penta Sports, a German esports team who have won the Pro League Finals three times previously. Liquid beat Penta 2-1, with the last match taking place on Siege’s Consulate map, and claimed the championship – which includes the top share of the tournament’s $275,000 USD prize pool, around $167,000. Here are the worst Rainbow Six Siege operators for Hostage. Season 8 is set to begin in June, and Ubisoft announced during the Finals that there would be some changes coming to the next Pro League – which include moving from a three-month tournament to six months, with more of a true league format. There will be twice as many teams competing. Original story, April 12:The Rainbow Six Pro League season seven finals will take place in Atlantic City next month. Eight teams will compete for a total prize pool of $275,000. 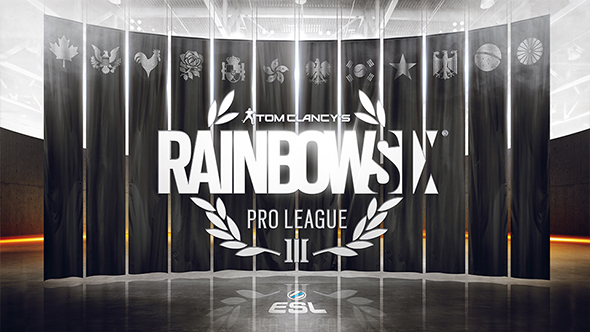 Pro League’s seventh season began in March, the beginning of a third competitive year, and will culminate on May 19 and 20, with a total of eight teams competing, two from each of Rainbow Six’s four competitive regions (Asia-Pacific, Europe, Latin America and North America). It’ll be the last season to follow the current three-month season, making way for the new six-month format announced in January, which will begin in June. As part of the new format, Ubisoft will also appear at four Dreamhack events throughout the 2018/19 competitive year. The new events, which will feature at Dreamhacks Austin, Valencia, Winter, and one unannounced event in early 2019, will each feature a $50,000 pool. Ticket and event details for the season seven finals go live today, and you can check them out here.